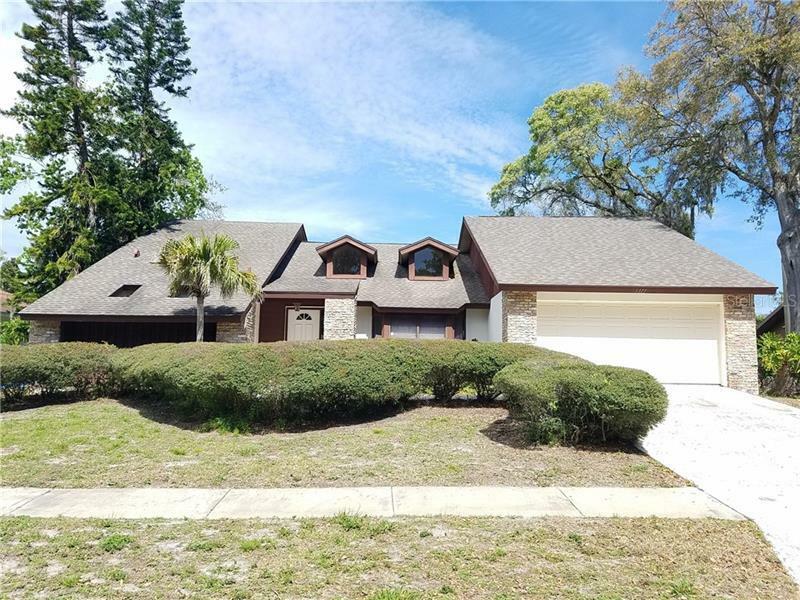 * * * 4 BEDROOM HOME IN MUCH SOUGHT AFTER INDIAN TRAILS SUBDIVISION * * * Just around the corner from Palm Harbor University High School * * * Foyer opens to formal living and dining areas with high vaulted ceilings. Oversized kitchen with dinette that opens to huge family room with fireplace. UNIQUE master bedroom that has high ceilings with a spiral staircase up to a loft that overlooks the bedroom. HIS and HERS walk-in closets. Master bathroom has a double vanity with walk-in shower. Split bedroom plan puts the other 3 large bedrooms off family room. Extra vanity room shares the second bathroom which has access to pool. Sliders from multiple rooms that access covered patio and screened inground pool. Very active and friendly “neighborly community” * * * GREAT SCHOOLS * * * Sutherland Elementary. Palm Harbor Middle. Palm Harbor University High School * * * Easy access to downtown “Ole Palm Harbor” with its quaint stores and restaurants. Just minutes from Pop Stansell Park and Crystal Beach Pier. Just 10 minutes from both Dunedin Causeway with access to Honeymoon Island or downtown Tarpon Springs and the famous sponge docks. Amenities Additional Fees: Buyer's responsibility to verify all information. Pet Restrictions: Buyers responsibility to verify all information.